Another edition of When East Meet West co-production forum begins today in Trieste. A documentary film "The Wind. A Documentary Thriller" was among the selected projects. When East Meet West is a co-production forum organised by the Trieste Film Festival and the Italian FVG Audiovisual Fund. Filmmakers from different parts of Europe and the world have a chance to meet there and start an international cooperation. The forum invites institutions financing film production, decision makers from various film festivals and TV stations and projects that were selected in the application process. 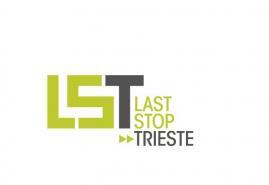 One of the five projects that was selected to take part in the Last Stop Trieste section of the forum dedicated to work in progress films is "The Wind. A Documentary Thriller" by Michał Bielawski, produced by Maciej Kubicki, Telemark. The projects will be presented during a panel in front of 40 experts from the film industry: sales agents, festival programmers and decision makers from TV stations. All projects will compete for awards: HBO Europe Award, Flow Digital Cinema Award, Film Centre Serbia LST Award and Dox Consulting Award. "The Wind. A Documentary Thriller" is a multi-thread story about a clash between people and the forces of nature, woven into a documentary thriller. The documentary shows the influence of wind on the emotions and lives of a local community. The documentary was developed during Doc Lab Poland and presented at Doc Lab Go pitch session organised by KFF Industry in 2017.